For how could you blame farmers who enjoyed strong government support in the 70s for loving Marcos? How could you blame mothers whose children enjoyed quality education, and who had more food on their tables then for remembering the president well? How could you blame artists whose respective crafts blossomed under Imelda’s patronage for dreaming for the same support? How could you refrain people from wishing we have today a more stable power supply, a saner traffic situation, and an efficient transport system the way they were when Marcos was president and Imelda was Metro Manila governor? How could you look down at our countrymen who wish we have today the same level of respect we enjoyed in the international community when Marcos was president? 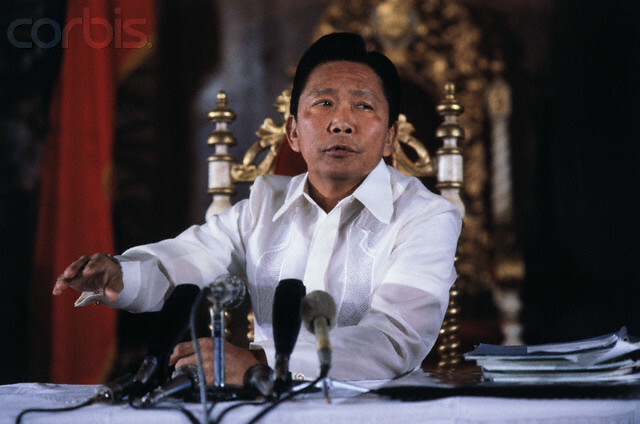 And, how could you prevent Filipinos from feeling hungry for reform, and from rooting for the new society Marcos envisioned or something to that effect? These “how could you’s” go ad infinitum. Point is, as a growing majority of our countrymen now realize that as our social ills have remained—and by all indicators have even worsened—in our post-1986 national life, Marcos is not the real enemy. If people feel they lived more decent lives during the Martial Law years, no historian or scholar or political analyst could contest that without insulting those who own that experience. I know typhoons pretty well, and my only credential is that I live in Ilocos Norte, a province most frequently hit by disaster. That and some gut feeling matched with common sense. I have learned survival skills: keeping necessary supplies in the house (food, water, batteries), monitoring news on the radio, being alert all the time and not panic. Over the years, I have also learned one important survival mechanism: not to trust PAGASA, the Philippines’ official weather agency. 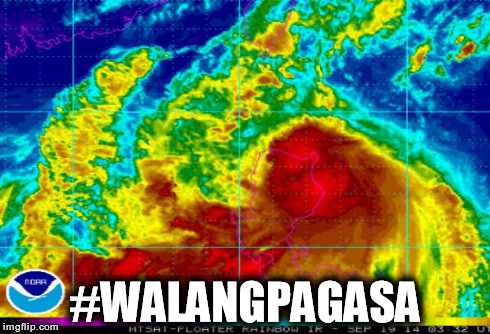 On Sept. 15, for example, PAGASA raised public storm warning signal No. 3, automatically cancelling classes in schools in all levels, and work in government offices as well. It turned out to be a fair and sunny day. Even malunggay leaves were still. Last Friday, on the other hand, PAGASA raised only Signal No. 2 as Mario set its sights on Ilocos Norte. On Saturday morning, the people—at least those who were able to sleep—woke up to a great disaster. Trees have fallen, debris were scattered in the streets, many areas were flooded, and the province was enveloped in darkness. It is, by far, the strongest natural disaster to hit the province this year.